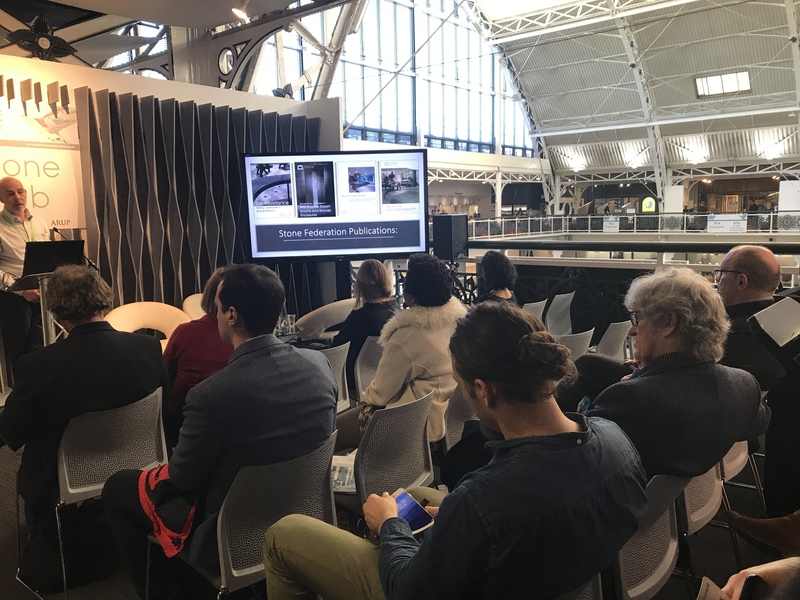 This week we have been at London's Surface Design Show, hosting the Stone Knowledge Hub and connecting with hundreds of architects, interior designers, developers and contractors. 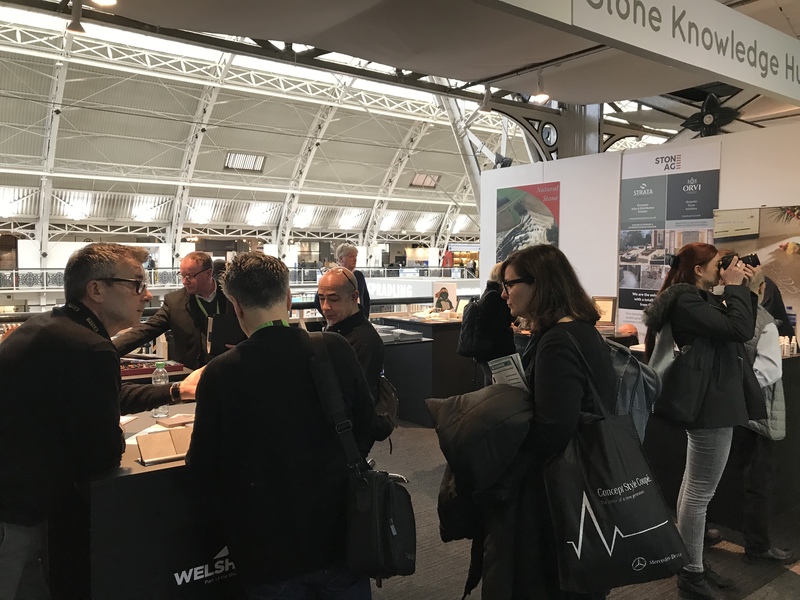 Held at the Business Design Centre near London's 'Design District' of Clerkenwell, the show provided us with a fantastic opportunity to promote natural stone and Stone Federation members to the show's visitors. The member-exclusive Stone Knowledge Hub on The Stone Gallery included members Airemarmores, Amarestone, Lithofin, Strata Stones and Welsh Slate. We also worked alongside members Arup, in co-hosting the Stone Hub, a CPD area that provided architects and interior designers with natural stone focussed expertise, project case studies and technical backup. The Natural Stone Source Book, Natural Stone Awards Brochure and Ethical Stone Register were particularly popular with visitors to the Stone Knowledge Hub, and hundreds of the brochures were taken. We already have a number of members looking to book space for the 2020 show, so if you are interested in being involved, please email matt@stonefed.org.uk to reserve your stand.